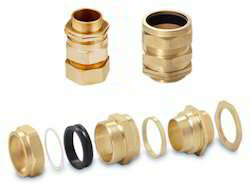 Our product range includes a wide range of bw 4 brass cable gland, cw 3 and cw4 cable gland, e1w type cable glands, pg type cable gland, flameproof cable glands and single compression cable gland. With firm commitment to quality, we are successfully affianced in offering an optimum quality gamut of BW 4 Part. The offered component is precisely manufactured at our highly advanced manufacturing unit using the pristine quality brass and ultra-modern techniques. Made available in standard as well as customized sizes, the offered component is highly cherished in various industries. Beside this, our esteemed clients can purchase this component from us at highly competitive rates from us. Since start of our business, we are successfully offering an excellent quality assortment of CW 3 Part and 4 Part. 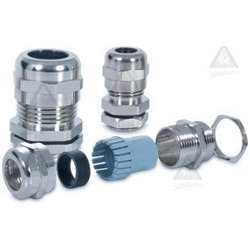 Widely used in numerous industries, the offered component is made available in different shapes and sizes. Our offered component is precisely manufactured under the vigilance of our ingenious professionals by utilizing the best grade brass and contemporary techniques. Additionally, our valued clients can purchase the offered component at thrifty rates from us. Our client centric organization is successfully affianced in providing our clients with a superior quality assortment of E1W Type. The component offered by us is highly applauded by the customers due to its unique features given below. We manufacture this component by making use of the best quality brass with the aid of highly advanced techniques. In addition to this, this component passes through a series of quality examinations in order to ensure its flawlessness. Banking on our in-field domain expertise, we are affianced in providing the premium quality Flameproof Cable Glands. We offer these cable glands in various shapes, sizes as well as finish as per exact requirements our precious clients. 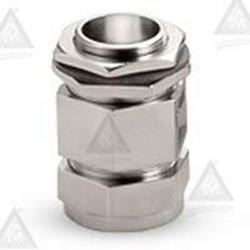 The provided cable glands are precisely manufactured with the use of optimum grade brass and ultra-contemporary techniques under the stern supervision of our ingenious team of professionals. 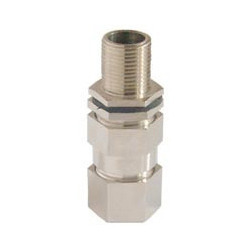 Furthermore, these cable glands are offered at negotiable rates from us.